The Chancel was built about 1100, by the Normans. 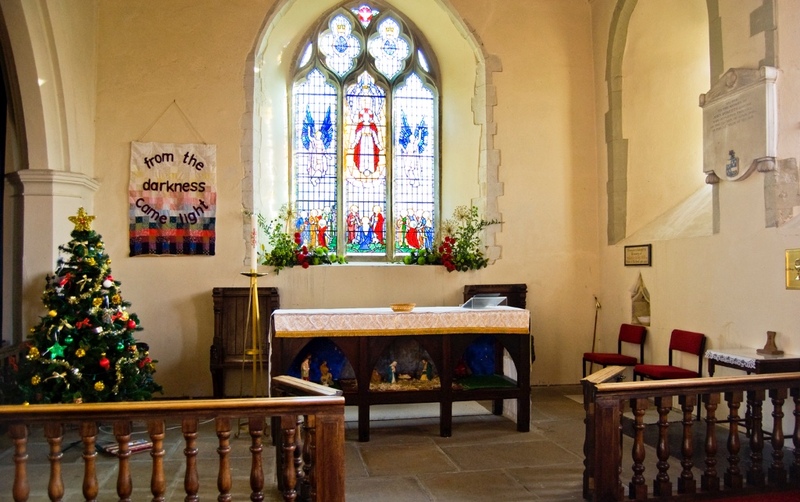 The Chancel is thought to have been built originally with a round apse and small arch, but there were extensive alterations to it in the 13th and 15th centuries. The present lofty English Chancel Arch is 15th century with 13th century responds (supports). 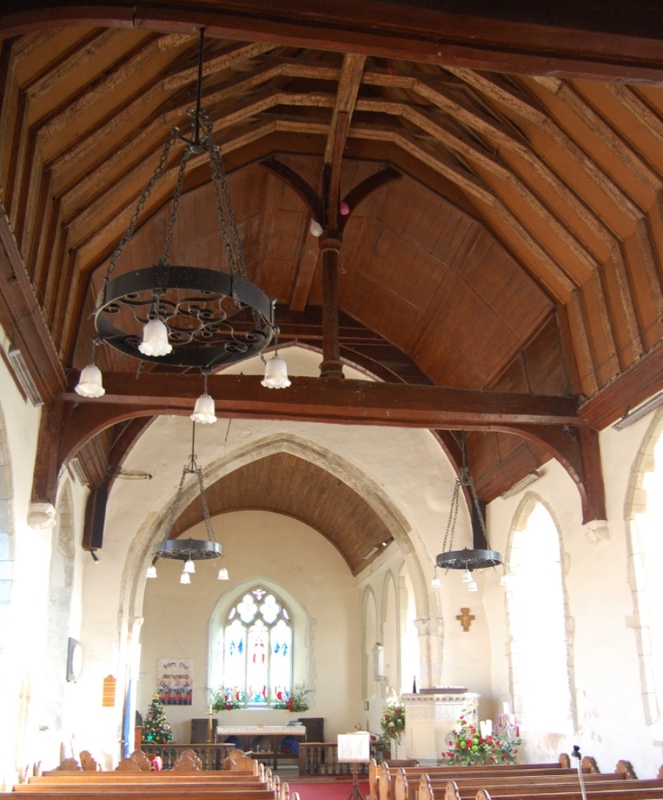 The Chancel ceiling was renewed in 1937-8. 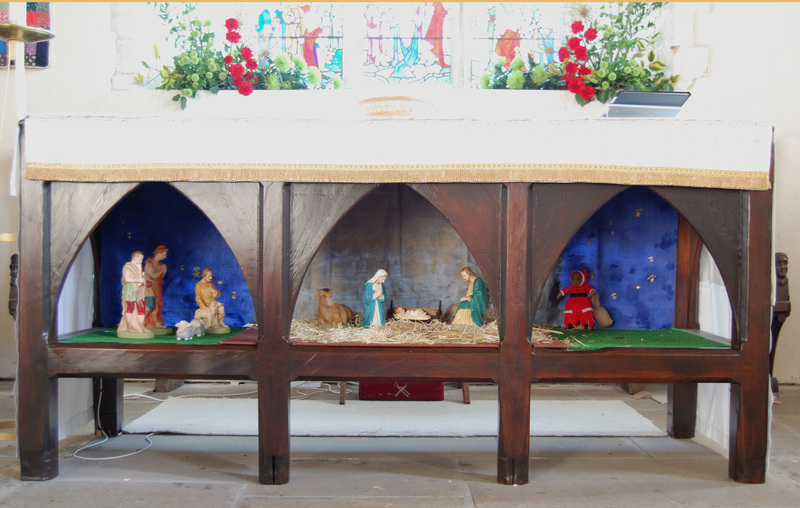 Each Christmas, a Crib is built inside the Altar and the church is decorated. There is an aumbry with a brass door, and a piscina in the right wall of the Sanctuary. 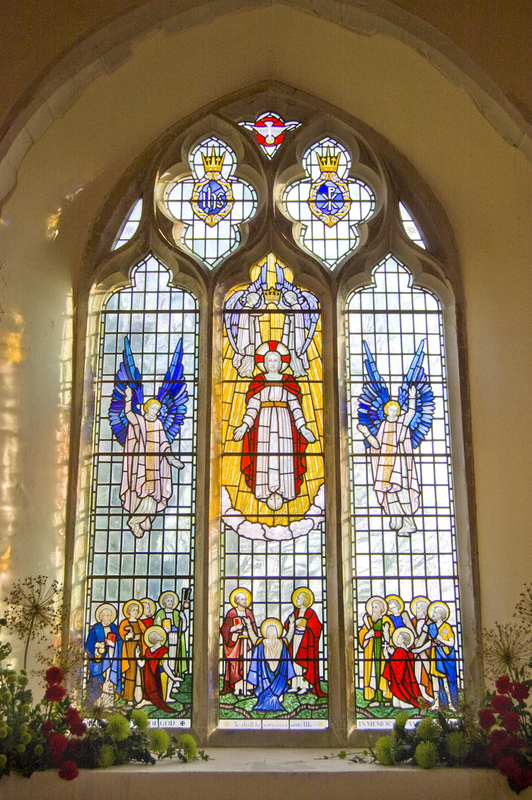 The large stained-glass window behind the Altar was installed in 1958 as a memorial to Amy Benewith. It represents Christ's Ascension into Heaven. 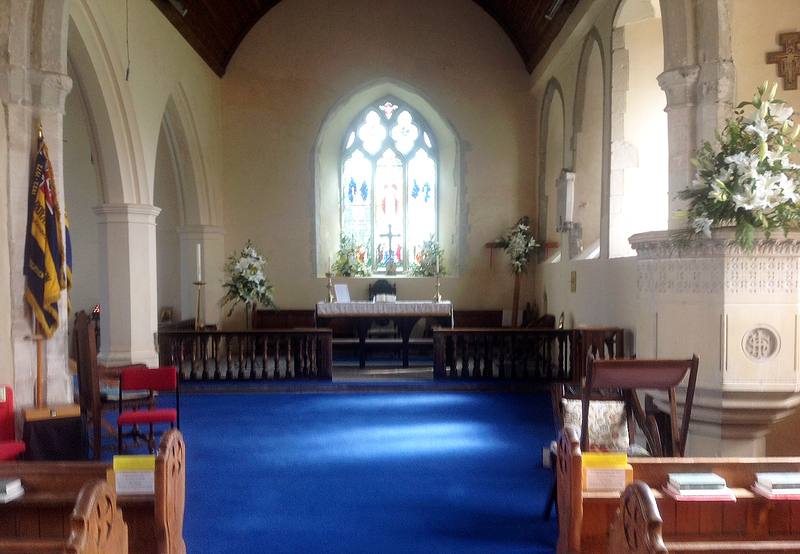 The Piscina to the right of the Altar is 13th century with a moulded head. 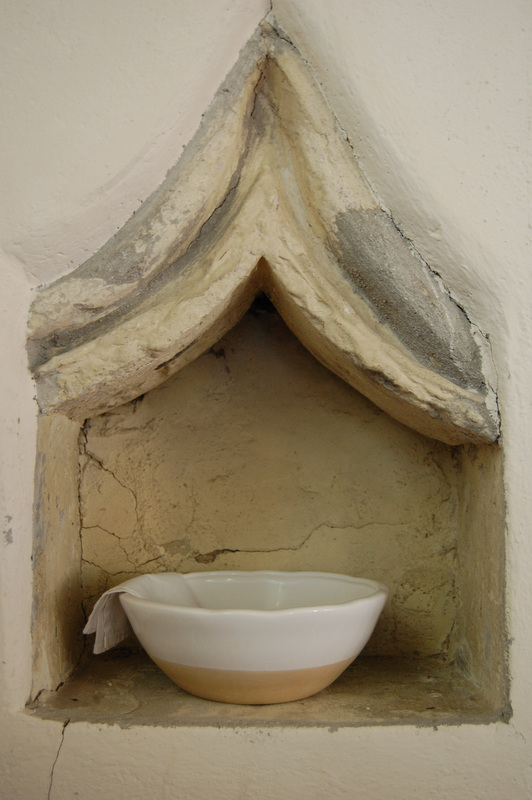 The Lavabo (bowl) was made in the 1970s, and is used by the Vicar for rinsing his fingers before Communion. 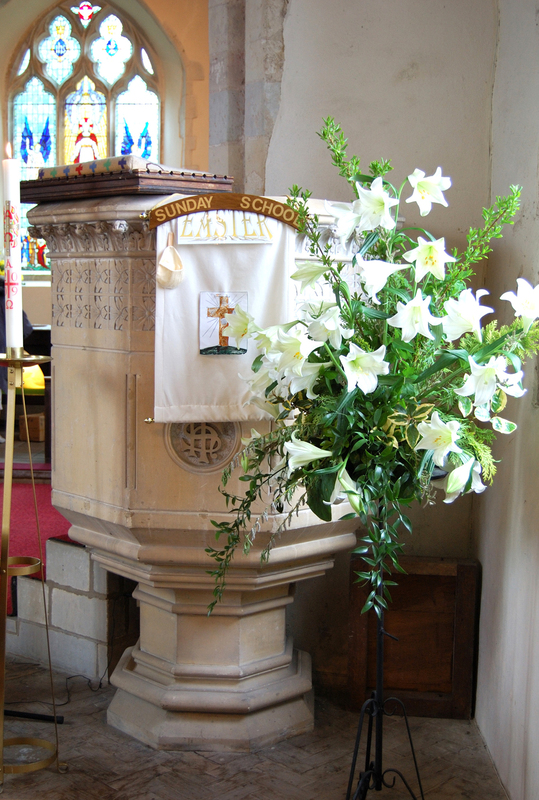 The stone pulpit is Victorian and is in the same style as the font.